TRIO Student Support Services (SSS) is a federally funded grant program through the U.S. Department of Education. We serve eligible North Central State College students. 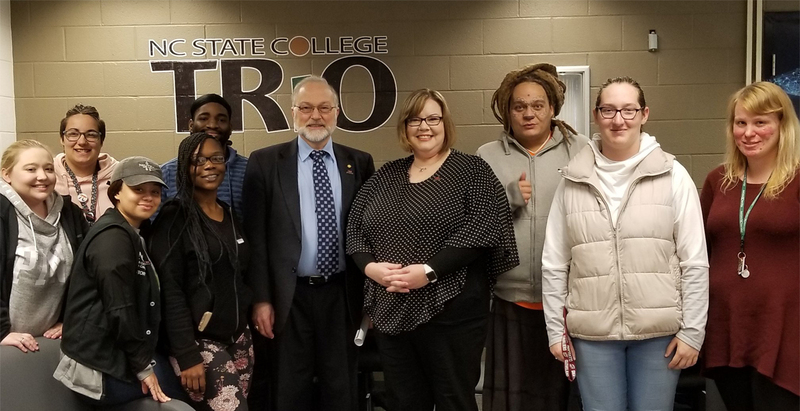 The TRIO Student Support Services program provides and coordinates a variety of educational support services for students who are first generation, low-income and/or students with disabilities. The purpose of the program is to increase college retention, graduation and transfer rates for eligible members. Our vision is to encourage college degree attainment by cultivating and inspiring personal and academic excellence in participants.